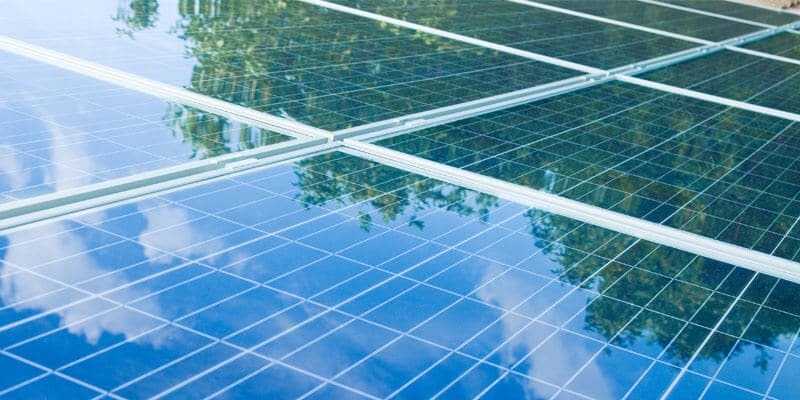 What You Need To Know About Solar Panel Efficiency? Purchasing Solar panels can be quite a tedious process. There are lots of things to consider when purchasing a solar panel. What type of Solar PV system to go for? Where to install the system and so on..
What we tend to forget is how important Solar panel efficiency is when purchasing a Solar panel. We are not well informed regarding the efficiency of Solar panels. Solar Panel Efficiency can make a huge difference to your savings. Do your research well on the Solar panel efficiency before you buy solar to reap rich dividends. This blog will help you in this regard to better understand Solar Efficiency. In this post we look at the importance, factors to consider and ways to improve Solar efficiency. Efficiency of a system refers to delivering greatest output from limited inputs for a system. In relation to Solar Efficiency, it’s about how much power the Solar panels generate. The power generated has a direct correlation to the sunlight incident on it. The one with higher efficiency produces more electricity with other conditions being ideal. Most efficient solar panels in the world record efficiencies in the range of 18-22% as of date. Thin Film PV modules produce around 8% Solar efficiency. Recently Sunpower, a Solar PV manufacturer broke the record on Solar efficiency with 24.1% efficiency. Solar Cell Efficiency is one of the key factors leading to higher Solar Panel efficiency. But it doesn’t mean that higher Solar cell efficiency leads to higher Solar panel efficiency. This is due to interspacing issues of the cells that affect panel efficiency. Also Watt hours is an important metric to consider in deciding the produced by the Solar Panels. Watt hours is the energy generated by the Solar Panels over time. This helps to compare with the watt hours produced using traditional fossil fuels. Why High efficiency is important for Solar Panels? Solar Efficiency as marked on the Solar Panels may not match with that of the onsite location. This is because tests conducted to mark the solar panel efficiency are carried out in controlled environments. These tests do not take into account the Onsite factors. Irradiance is the power received by the Solar Panels with the incident solar energy. The amount of electricity generated is in direct correlation with the Solar exposure. Hence the location of the Solar panels play a crucial role and reduce shading of the solar panels. Shading of the Solar Panels affects the Solar panel efficiency of due to less irradiance. Also shading of a part of the Solar panel can affect the other solar panels connected. Hence the efficiency of the entire system drops. The Solar Panel orientation affects the irradiation levels. Not choosing the right orientation can reduce the output of the Solar panels. Install the Solar PV system in the direction of true south to get most solar exposure in India. This is due to the fact that India is located in the Northern hemisphere. The time and day also determines how much power the Solar panels generate. The system generates less power on a cloudy day compared to a sunny day as there is less light incidence. One may think that too much of sunlight can be good for the amount of power generated by the Solar panels. But too much of sunlight can generate a lot of heat which can reduce the efficiency of the Solar Panels. Solar Trackers attached to the Solar panels direct them for easy movement. This enables the solar panels to track the path of the sun for most solar exposure. These factors are discussed in detail in this article related to PV system. Solar Soiling refers to the things that may fall on the solar panels that reduces its efficiency. These may be things like dust, bird droppings, leaves and others. Solar Soiling can decrease efficiency(degradation) of the Solar panels by 1.5-6% over the year. One of the other effects of Solar soiling is PID (Potential Induced Degradation). This reduces the Solar efficiency in a big way. Due to Solar soiling, electric fields are formed around the Solar panels. These are created from the interactions between the internal and external fields of the solar panels. These electric fields can bring down the Solar system efficiency. Hence it’s important to clean the Solar Panels periodically to reduce Solar panel inefficiency. Cleaning the Solar panels is not a difficult job since there are no moving parts to the system. But be careful about cleaning the solar panels on the solar rooftop. Hence one should buy Solar Panels with high efficiency and reduced degradation levels. In this article we looked at the importance of Solar Panel Efficiency and the onsite factors that affect it. Also looked at were the topics on Solar Soiling and its effects on Solar Panels. We also looked at ways to improve efficiency through proper maintenance of Solar panels. 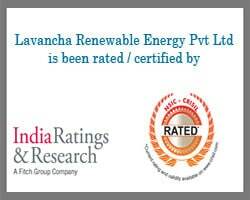 Lavancha provide high quality Solar panels with maximum efficiency with low degradation levels. This provides maximum benefit to you as a solar user.